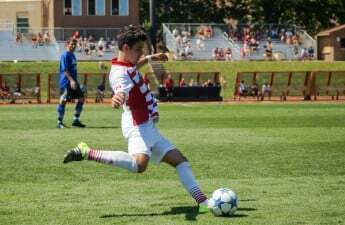 The University of Wisconsin men’s soccer team took the first step toward achieving their goal of a Big Ten title last weekend with a win over Ohio State University, but the next step only gets harder. If the Badgers want to advance to the conference title game, they will have to go through No. 7 Indiana University first. The No. 3 seed Badgers face No. 2 seed Indiana at the neutral site of Grand Park in Westfield, Indiana at 1:30 p.m. Friday. The Hoosiers defeated Northwestern University in a 1-0 overtime thriller in the quarterfinals to get to this point in the bracket. The matchup should be a tough one for the Badgers, having to face an Indiana team that went undefeated in conference play this season with a 3-0-5 record. Overall, the Hoosiers only lost one game in total this season, a 4-0 loss on Oct. 4 to the University of Notre Dame. The dominant play has been a major factor in the Hoosiers warranting their No. 7 overall standing in the country. 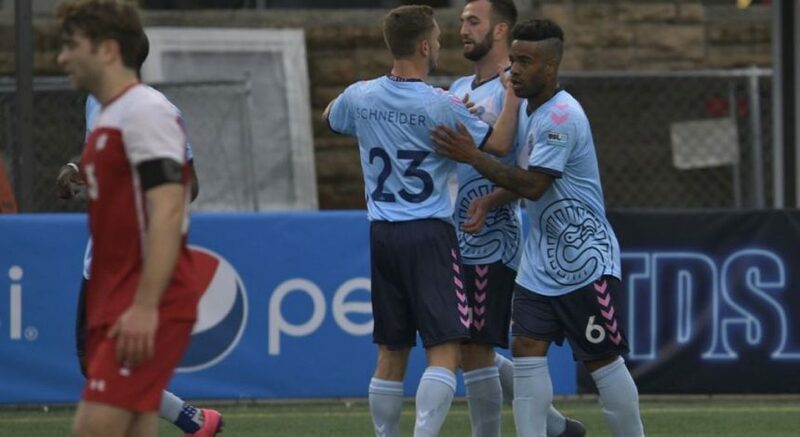 These two teams played to a 0-0 draw in their only match of the season on Oct. 21 in Madison. Wisconsin outshot Indiana by a margin of 18-16, but the Hoosiers were able to put six of their shots on target compared to only five for the Badgers. The Hoosiers are led by All-Big Ten members junior defender Grant Lillard and senior midfielder Tanner Thompson, the latter of whom was one of four unanimous selections to the squad. Thompson earned the honor by recording a team-high 18 points on the season with eight goals and two assists. Lillard and Thompson are joined by second-team members senior midfielder Richard Ballard and sophomore defender Andrew Gutman. The Badgers will counter this with conference team members of their own as well. 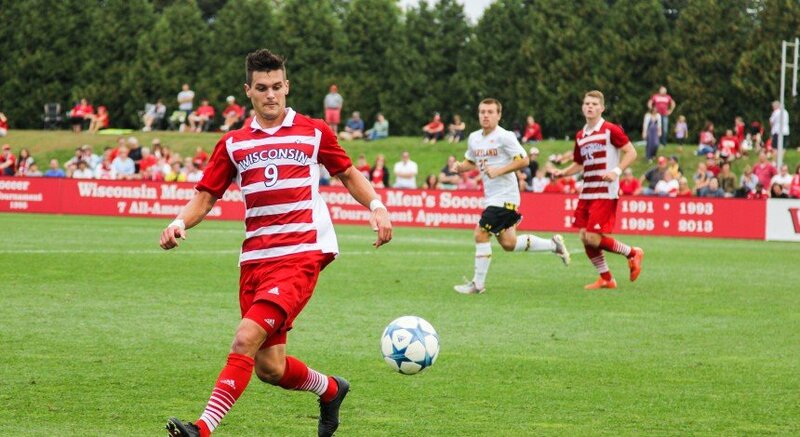 While the Badgers only field one member on the first team, junior forward Christopher Mueller, they have three members on the second team as well: Michael Catalano and Mark Segbars in the midfield/forward spots and Sam Brotherton at defender. 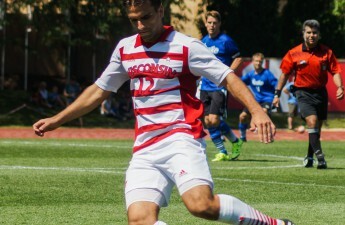 Two other Badgers playing a major role in the match will be defender Elan Koenig and midfielder Noah Leibold, who were both named to the All-Freshman team in the Big Ten. The two teams appear to be very even coming into the game. The Badgers have scored 28 goals this season, conceding only 12, while the Hoosiers sport similar numbers by outscoring their opponents 27-13. In conference play, the Badgers have outplayed their opponents to the tune of a 11-9 advantage while the Hoosiers have gathered an 8-4 edge. The winner will advance to the Big Ten Championship game on Sunday to face the victor of the University of Maryland vs. Michigan State University game.